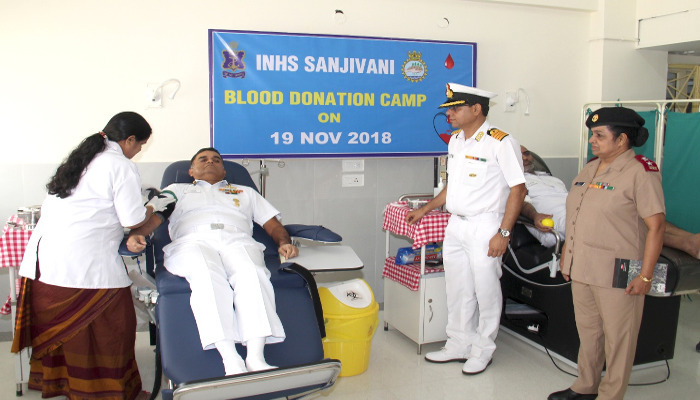 As part of Navy Week 2018, a blood donation camp was organized by INHS Sanjivani on 19 November 2018. The camp was a huge success, with more than 100 voluntary blood donors registering in this noble cause. 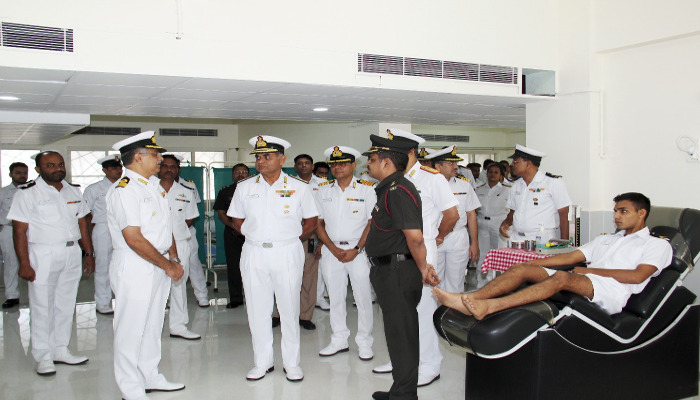 Rear Admiral RJ Nadkarni, Chief of Staff, Southern Naval Command, the Chief Guest, inaugurated the event by donating blood himself. 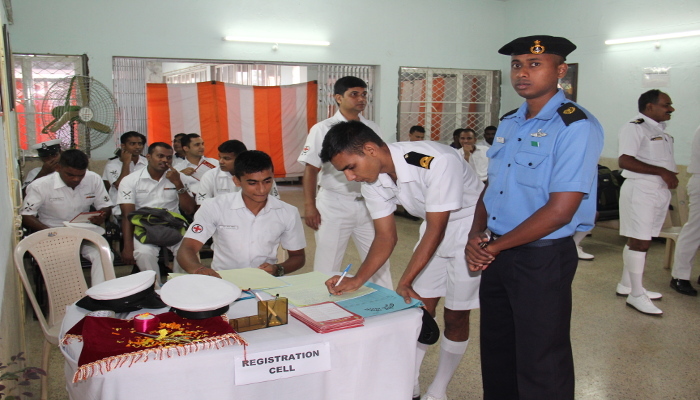 The volunteers included many other naval officers, sailors, ladies and Defence civilians of Naval Station, Kochi. The donors participated in the camp with great enthusiasm and in large numbers. 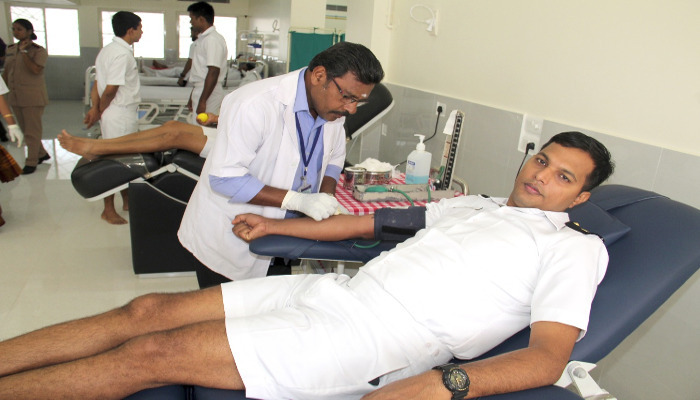 Regular awareness activities have been undertaken at Kochi Naval Area to highlight the importance of blood donation and that there is no alternative to human blood to save precious lives. The blood collected at the camp was handed over to IMA blood bank, Ernakulam for use in various hospitals in and around Kochi. 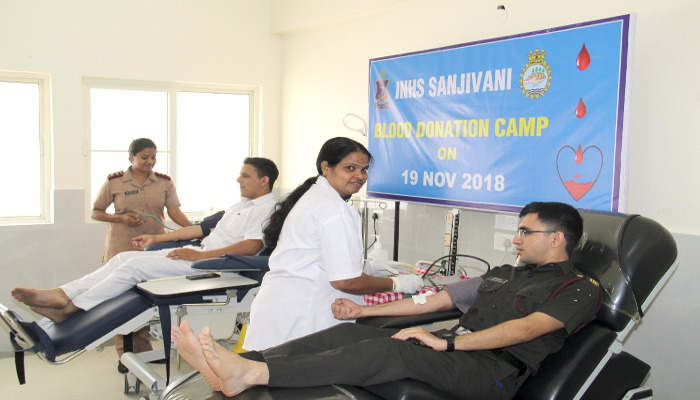 The Indian Navy is committed to further humanitarian causes and has always contributed to blood donation drives with great zeal and determination. 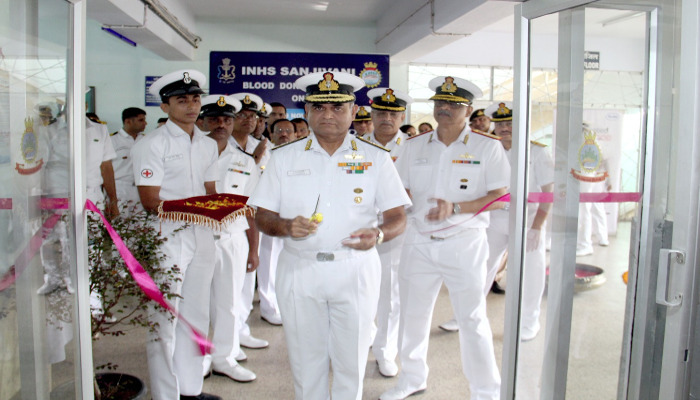 INHS Sanjivani, the major naval hospital of SNC, was adjudged the hospital with maximum blood donations carried out in 2017 by the Indian Medical Association.